Harry Bingham’s father’s crowning achievement was his exploration of Machu Picchu almost 100 years ago. Yet Hiram Bingham III’s status as the “discoverer” of the ruins is in dispute, and the Peruvian government has demanded that Yale University, where Bingham taught, return all the artifacts he took home from Inca lands. Bingham’s persistent search for the fabled Incan capital culminated on July 24, 1911. Weary from hiking for hours, directed by a friendly pair of local farmers, he marched into the mountains accompanied by a local guide and a Peruvian policeman until “suddenly we found ourselves in the midst of a jungle-covered maze of small and large walls,” he wrote in an account published in Harper’s Monthly in April 1913. 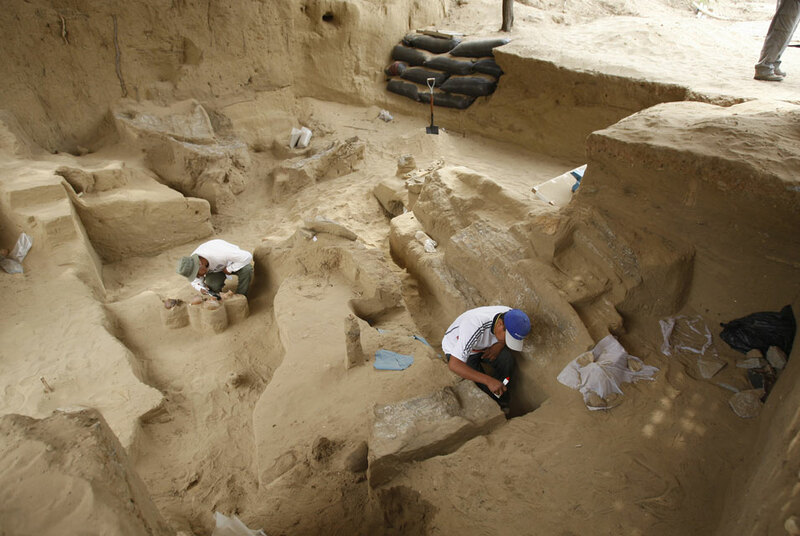 Bingham’s chronicle brought him acclaim (“The greatest archaeological discovery of the age,” the New York Times called it), but now archaeologists in Peru contend that he was not the first outsider to come upon the 15th-century Incan city’s ruins, as well he should have known. Yale, for its part, is embroiled in a dispute with the government of Peru over the artifacts and bones that Bingham brought home. In 2007, the university agreed to return most of them in exchange for keeping some for further research. In a lawsuit filed last December in federal court, however, the government of Peru said Yale must return the entire collection. For countless communities, archaeology can be a source of local identity, pride, and even income. “It may be intangible, but when a community loses its connection to history it loses something pretty important,” says Kimball. The International Panel on Climate Change (IPCC), a group of more than 1,000 experts on climate science convened by the United Nations, estimates that the world’s temperature has risen about two degrees in the past century, thanks in part to an increase in carbon dioxide that traps heat in the earth’s atmosphere. The consequences have already been dramatic. The world’s oceans have risen four inches in that time. Weather patterns have also gotten less predictable and more extreme. Archaeologists can’t stop global warming, but they can make dealing with it a priority. That may mean documenting sites before they disappear; in some places, simple steps like putting roofs over melting or rain-threatened areas are ways to preserve them. Action, however, must be taken soon. “Our job is not so much to talk about how to get climate change to stop,” says Giovanni Boccardi, the chief of UNESCO’s Asia and Pacific Unit. “While climate change is global, lots of solutions are local–and within our reach.” What follows is a look at some of the threats facing archaeological sites around the world. Though the burial mounds–called kurgans–are found everywhere from Ukraine to Kazakhstan, few are as spectacularly preserved as those in the Altai Mountains on the edge of the vast Siberian permafrost region. Many of these graves have been on ice for millennia, sandwiched between a frozen layer of earth and the insulating grave mound above. Beginning with Soviet excavations in the 1940s and ’50s, archaeologists have found amazingly well-preserved mummies in the tombs, often with their clothing, burial goods, horses, and even stomach contents intact. “Instead of archaeology, the material culture is so well preserved it’s almost a kind of ethnography,” says Hermann Parzinger, who discovered the tomb of a mummified Scythian warrior in Mongolia in 2006 and now directs the Prussian Cultural Heritage Foundation in Berlin. Mapping and listing all the region’s kurgans using old spy satellite photos and old-fashioned ground surveys is the first phase of an international effort to save the frozen tombs. Bourgeois says the first priority is identifying kurgans that may still have permafrost underneath. On September 17, a hiker named Ursula Leuenberger was crossing an iced-over pass near the Schnidejoch glacier when something odd caught her eye–a leather quiver that had been left high in the Alps by a Neolithic hunter around 2800 B.C. The difference between a normal and a bad El Nino year can be tremendous. 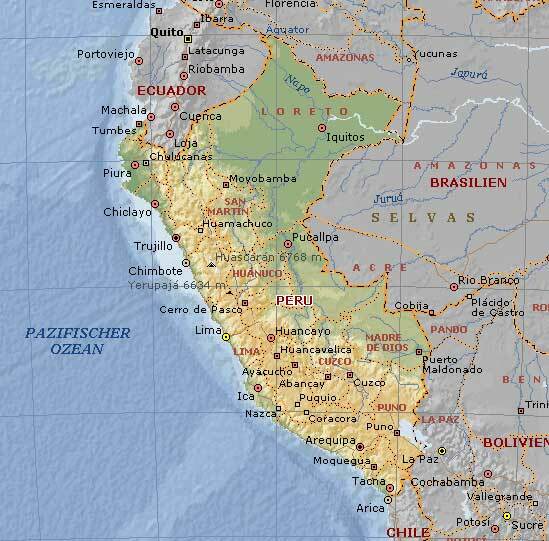 Peru’s deserts typically get just over an inch of rain per year. In 1998, the last severe El Nino season, the region was doused with 120 inches, which caused serious flooding. Water takes a heavy toll on exposed archaeological sites, many of which are located along rivers or on easily eroded slopes. Ironically, archaeologists have made the problem worse. “If we don’t mess with the sites, water runs off without doing too much damage,” says University of Maine archaeologist Dan Sandweiss. “But if you excavate, that’s the end of them, basically.” Holes made by looters also channel and trap moisture, doing more damage. Take Chan Chan, an elaborately planned city eight miles square that dates back 1,000 years. Made of unfired mud brick, Chan Chan’s pyramids and palaces were put on UNESCO’s list of World Heritage Sites in Danger in 1986 because they were threatened by erosion. Over the past two decades, the site has deteriorated steadily. Researchers are investigating whether global warming could make El Nino occur more frequently. “There’s the potential for greater destruction if the pace of El Nino events increases,” says Sandweiss. So far, climatologists can’t say for sure what climate change will do to the powerful weather phenomenon. “The models are all over the place,” says National Oceanic and Atmospheric Administration climatologist David Enfield. “We’re up against a huge uncertainty at present.” As climate experts work to refine their predictions, archaeologists anxiously await the arrival of the next El Nino. Local nomads call the ruins Musawwarat es-Sufra, or “Yellow Pictures.” More than 2,000 years ago, the kings of the Meroites–a desert kingdom closely linked to ancient Egypt–built a temple complex 20 miles east of the Nile Valley, in what is today Sudan. Built of soft yellow sandstone, the walls and columns of the complex were decorated with hieroglyphs and elaborate reliefs, covered in mortar and colorfully painted. “It was probably the most important pilgrimage site of the Meroitic kingdom,” says Claudia Naeser, an archaeologist at Humboldt University in Berlin who is excavating the site’s reservoirs and temples. The scale of the problem is overwhelming, and solutions–from hardening stone with special chemicals to erecting protective walls or planting trees as windbreaks–are either prohibitively expensive or impossible because of a lack of water. UNESCO is now considering an application to have Musawwarat listed as a World Heritage Site. Soon, however, there may be no more “yellow pictures” to be seen. In a normal summer, Greenland’s northern and eastern coasts should be ringed by an ice belt 30 to 40 miles wide. The drifting ice acts like a shock absorber, dampening the strength of the North Atlantic. “It takes a lot of wave energy to move the ice, and normally water along the coast is very calm,” says Danish archaeologist Bjarne Gronnow, of the National Museum in Copenhagen. But in the past five years, the sea ice has all but disappeared. Without its floating frozen shield, Greenland’s coast is being pummeled by storm surges originating hundreds of miles away. When Gronnow visited the region last summer, his team was barely able to land their Zodiac rafts on the beaches because of waves almost 10 feet high.